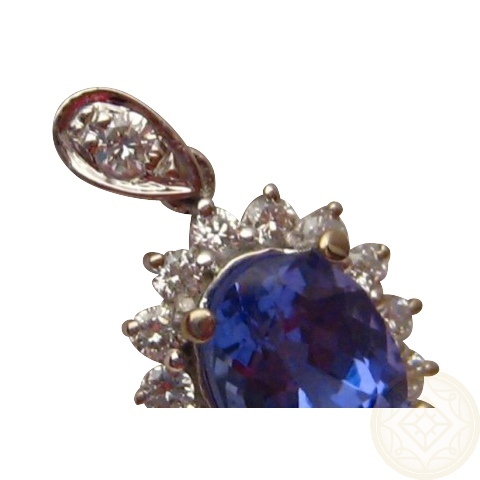 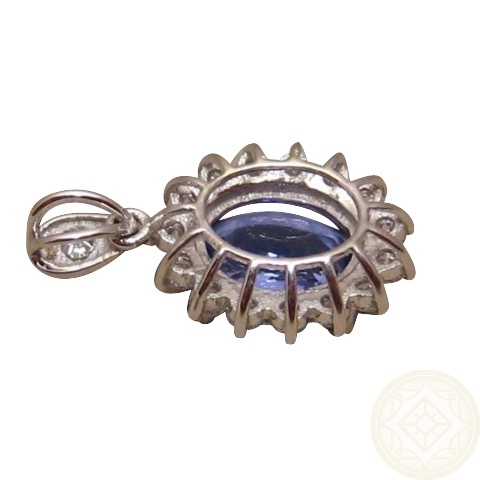 Quality natural oval Tanzanite and Diamond pendant in 14k Gold. 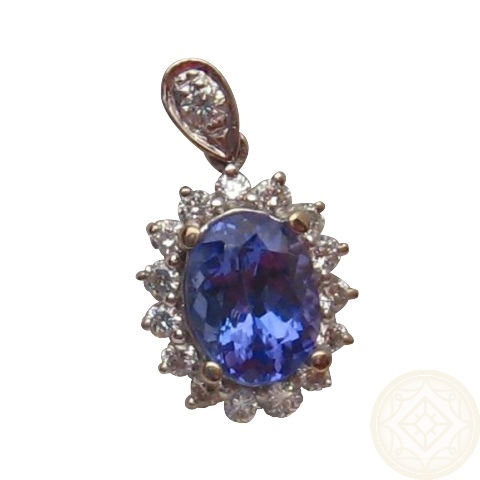 This pendant has a beautifully cut Tanzanite with good depth of color and brilliance set off with good sized Diamonds and made in solid 14k Gold. 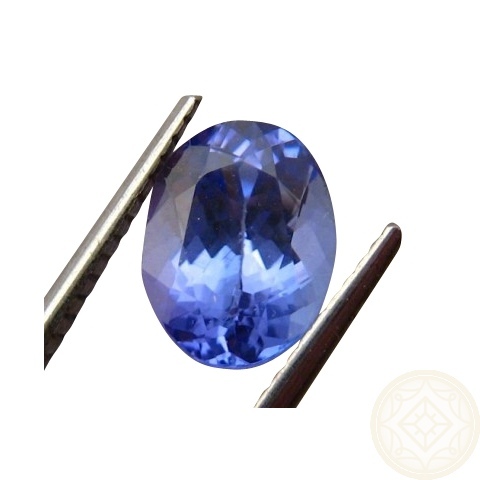 The Tanzanite has a weight of about 2 carats and the Diamonds are just over half a carat combined with all stones of very good quality with plenty of sparkle. 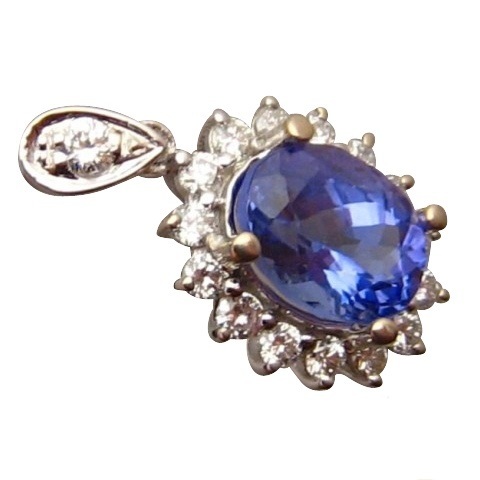 This pendant is Made to Order in your choice of Gold color which will take about 14-21 days to make before photos are provided for your approval to ship. 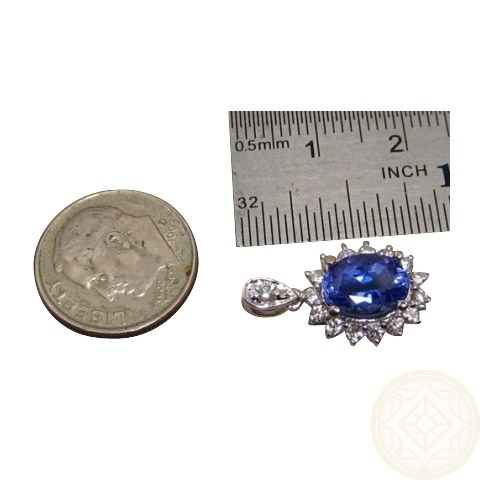 If you would like any changes to the stones or style of pendant, contact through this product page for assistance.